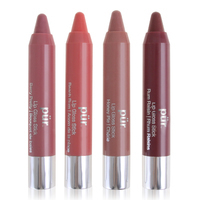 In the spirit of spring, Pur Minerals has added new gloss sticks and cream shadows to their newest spring collection. If you love cream shadows as much as I do, check out their brand new cream shadows for spring! These cream shadows are super dreamy and smudge proof, with all day colour that "lifts" for a silky smooth, crease-free finish. Lip gloss sticks are all the rage right now for spring and their perfect for on the go. No fuss, mess or goppy gloss to worry about. Just swipe on those gorgeous lips, and your ready to go with a sheer wash of beautiful color and glossiness at the same time! A great way to get the color and consistency you want in one product. You can browse the new spring arrivals here.